The free digital hospitality signage template looks plush in blue. The place has been displayed using an attractive image which immediately catches the attention of the onlooker. 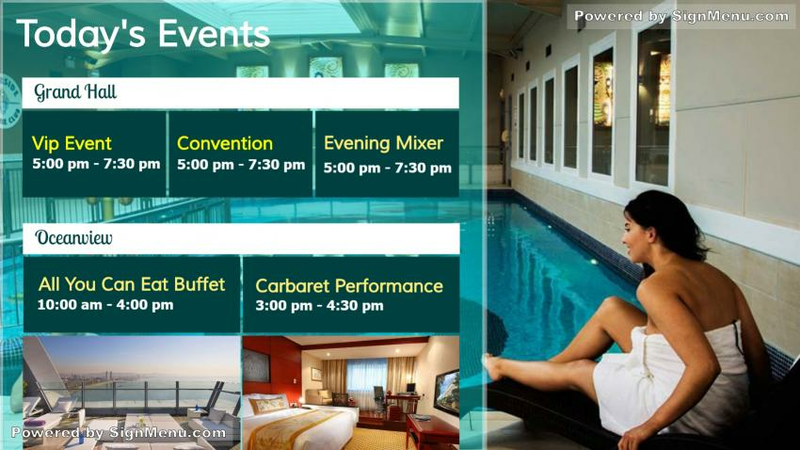 The venue along with events makes the digital hospitality signage template an informative one as well. Such images can be easily accessed from the image library where the images can be cropped and used.